So recently had a major need to up my game and do something new with my jewelry. Yep, short attention span here which means trying a variety of methods to add to the current madness. I settled on playing with chain maille techniques. Love the contrast between the squared edges of the round rings! 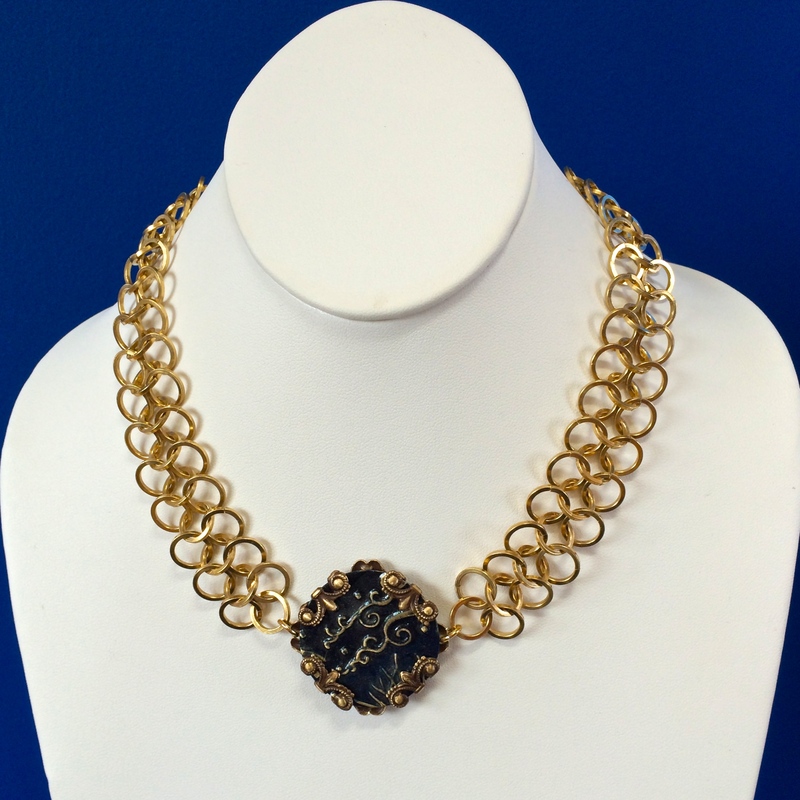 Midnight Chain Maille Necklace My first adventure with chain maille! I used brass square wire rings for the mesh, then embossed and painted a midnight blue centerpiece. Hmmmm, don’t you think we need a bracelet to go with the necklace? Sure! 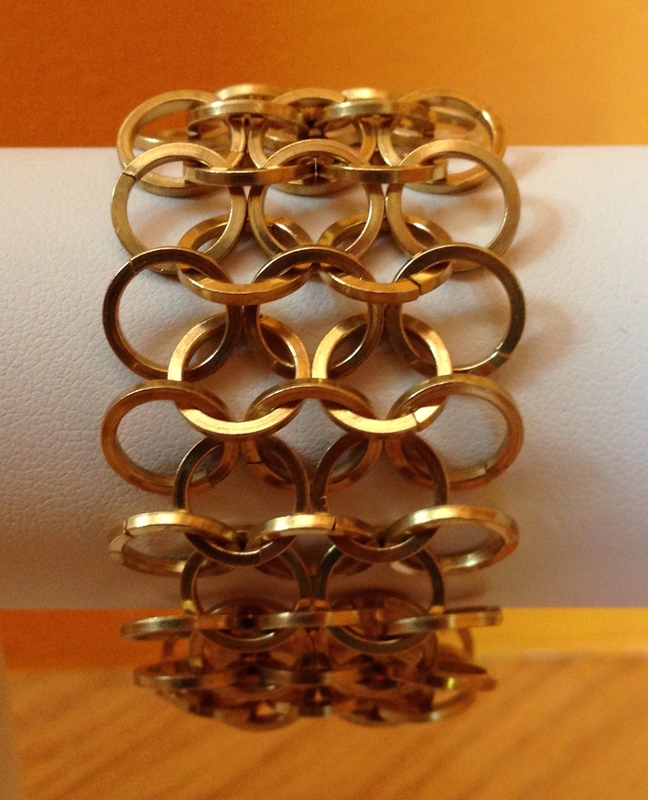 Chain Maille Bracelet using large rings of squared edged brass. Love the effect! This entry was posted in Bracelets, Necklaces and tagged Bracelets, Chain maille, necklaces, painted and embossed. Bookmark the permalink.